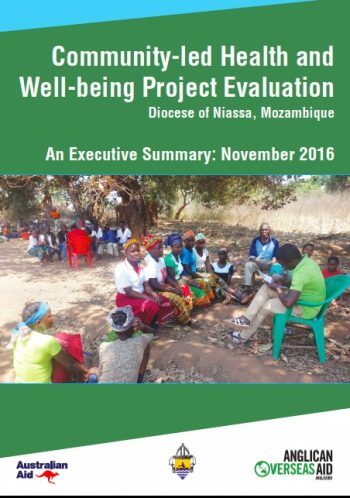 We have been supporting the Community-led Health and Wellbeing Project in partnership with the Diocese of Niassa in Mozambique since 2011. This project is funded through the Australian Government’s Australian NGO Cooperation Program (ANCP) as well as from donations from Anglicans in Australia. The goal of this project is that communities will see fewer children and adults dying, more people knowing their HIV status, more people speaking openly about HIV, and fewer children malnourished. The project is typical of our strengths-based approach to sustainable development in that communities will see that they brought about these changes by applying basic health messages. This report presents the findings of an evaluation of the first two years of our support to Phase 2 of the project (July 2014 to June 2016). Click here to read an executive summary of the report.